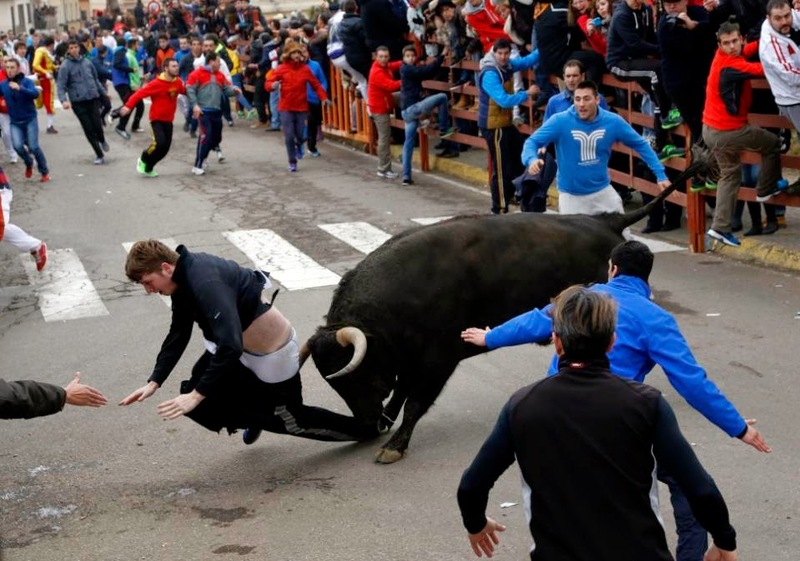 While perusing the nightly news, or actually the 24/7 news of today's Internet, I ran across the story of the unfortunate lad who got a little too close to the running of the bulls. 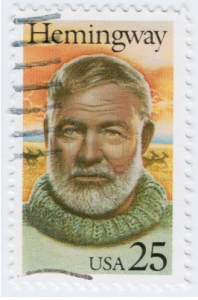 This got me MartiniMusing and Hemingway naturally came to mind. He was a great admirer of the Spanish bullfights. Naturally, Hemingway led me down the path to the Martini. A story such as this is not an uncommon one, with a number of episodes occurring at each of the bullfighting festivals throughout Spain. As disturbing as it is, you have to admire the ingenuity of this particular bull. He actually first pantsed the guy and then gored him. It can only be described as embarrassing, disturbing, disgusting and mischievous all rolled into one. It appears to have been a classic case of the college student studying abroad getting a taste of European life or more specifically the Spanish bullfight scene. This unfettered desire to run with the bulls I believe to be entirely put upon the shoulders of my favorite author, Ernest Hemingway. Papa Hemingway considered himself quite the aficionado of the bullfighting scene. He wrote Death in the Afternoon detailing the spectacle and nobility of the bullfighting tradition. He also recounted it, rather brilliantly I might add, in The Sun Also Rises. In that particular case, however, the running of the bulls was at the San Fermin festival at Pamplona. There was much drinking involved, some trout fishing, and then some more drinking. The story chronicles Jake Barnes' journey through his emasculated life in post war Europe. The novel ends with Jake saying to his unattainable love interest, Lady Brett- "Yes, I said. Isn't it pretty to think so?" This is one of the most pithy final lines ever written, succinctly expressing the impenetrable wall between Jake and Brett individually, and the lost generation and people in general, delivered in a cynical and bitter tone. With thoughts like that running around in his head, is it any wonder that Hemingway was such a prolific drinker? Hemingway liked a dry Martini, a very dry Martin - Montgomery style. I am not certain what, if any, brand of gin Hemingway was enamored with, but I think the name of this one and the fact that the word bull is in there somehow might have swayed him if he were around today. 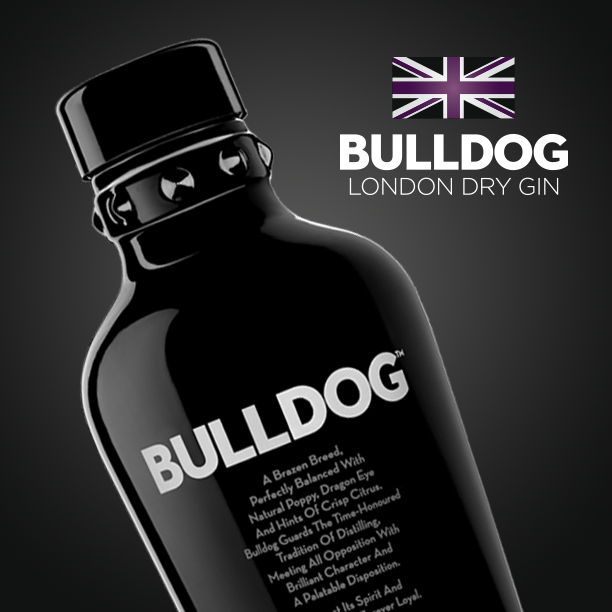 Bulldog Gin was launched in 2007 in today's modern craft gin market. It is distilled 4 times and utilizes 12 botanicals. It derives it's name from Winston Churchill, the British Bulldog, himself a prolific gin enthusiast. He also liked a dry Martini, or actually just a very cold glass of gin. He is famously noted to have said that the only way to make a Martini was to pour a glass of ice cold gin and bow in the direction of France (in deference to the vermouth). Similarly, the practice of just looking at the vermouth bottle while pouring the gin has been attributed to Churchill as well. There are a lot of alleged Churchill quotes out there! Dragon Eye- from China, related to the lychee fruit. It imparts a sweet light flavor. White Poppy- from Turkey, it adds a sweet nutty flavor. Lotus Leaves- from China, adding a flowery, perfume flavor. Liquorice- we all know what liquorice tastes like. The first thing that grabs you when you look at Bulldog Gin is obviously the bottle. 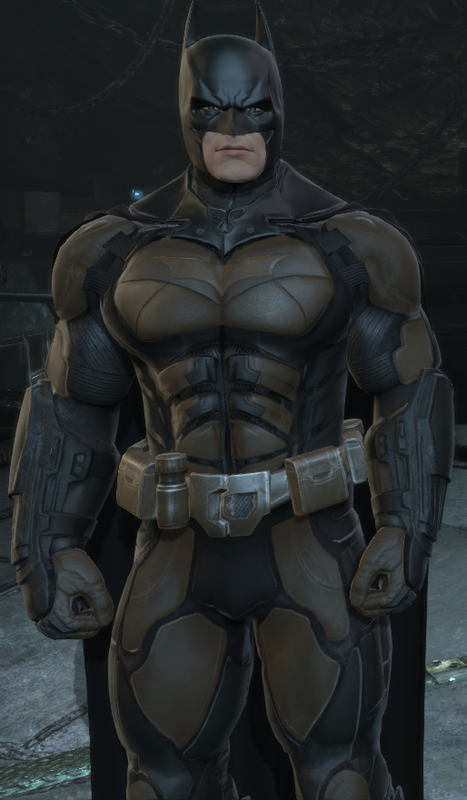 It exudes a tough, brawny character. Open the bottle however and be prepared for a bit of a shock. You are not thrown back by a forward juniper flavor, but instead greeted with a more balanced, floral and citrus bouquet. The taste is a nice balance of juniper and citrus with definite floral notes of lavender coming through. The earthy botanicals are always there in the background, not overpowering. The finish is smooth, as you would expect with 40% ABV. If you'd like to see another opinion you can try The Gin Is In, where you can always find an informative review. I mixed up a Bulldog Martini with an olive. I will go back and forth on the issue of garnishes. Sometimes I like to "cut " the floral gins with a lemon peel and sometimes with the brine of the olive. You can't go wrong here as people's palettes do differ. If I had some fresh thyme, I believe this would have been the best choice. But, I will save that for another day. So if your going to run with the bulls, I suggest garnering a little "Dutch Courage" with a Bulldog Martini. Make sure you wear some appropriate protective clothing! Brockman's is oh so sweet.